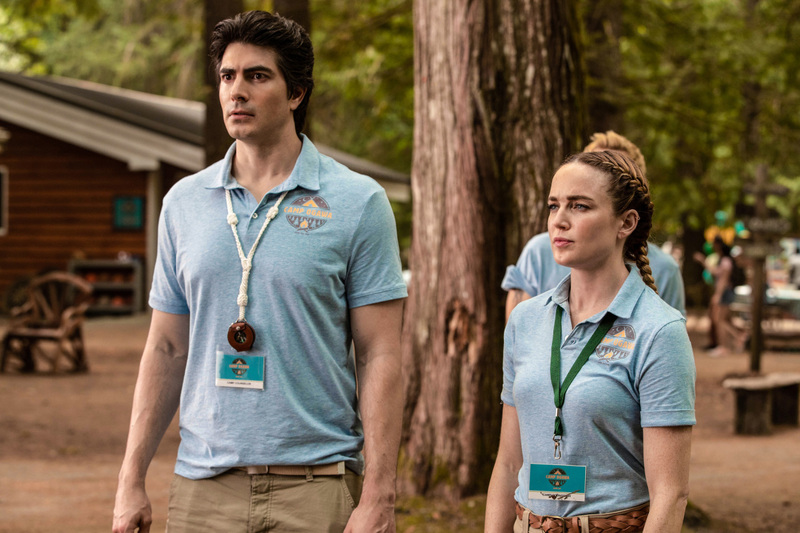 How do you think the Legends would do as summer camp counselors? Come found out in these photos for Legends episode 4.04, “Wet Hot American Bummer,” and see all the adventures they get up to. 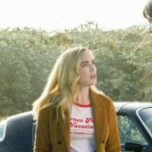 MEMORIES FOR A LIFETIME — When the Legends discover that kids at a summer camp have disappeared, Sara (Caity Lotz), Ava (Jes Macallan), Ray (Brandon Routh) and Constantine (Matt Ryan) find themselves as the new camp counselors. At camp, Ava struggles to get along with the kids, but Constantine whips up a potion that helps Sara and Ava bond with the children. Luckily, the team finds clues to the whereabouts of the missing kids, but the battle to save them leaves one member in bad shape. 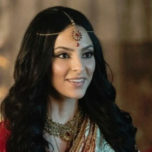 Meanwhile, Rory (Dominic Purcell) and Zari (Tala Ashe) are tasked with watching the fugitive and Rory finds a kindship with their “prisoner.” Maisie Richardson-Sellers also stars. 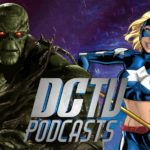 David Geddes directed the episode written by Ray Utarnachitt & Tyron B. Carter (#404). Original airdate 11/12/2018. 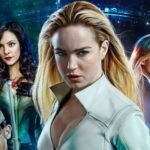 Legends of Tomorrow Season 4 airs Monday nights at 9/8c on The CW!